How are iLEAD Online courses different than other online programs? Our Curriculum: All iLEAD Online courses are created, written, developed and managed by our own facilitators. iLEAD Online emphasizes instructor availability, communication and access to ensure success. Our courses are flexible, project based, and customizable to best fit the passions, interests and needs of the learner. We do not purchase pre-made courses. Our high school courses are UC/CSU a-g approved courses. We do offer, but do not require real time class meetings, and learners do have access to iLEAD activities and workshops, tutoring, science labs and more! Our Facilitators (Teachers): Our facilitators are Project Based Learning experts and place emphasis on tailoring courses to your learner’s needs. They are happy to modify projects, assignments and courses to best fit the learning plan needed to support success. We use dedicated iLEAD facilitators only who work with your guides, advisors, school sites to support learners with flexible learning plans to best meet the needs of each individual learner. We strongly believe your learner will succeed when best supported by a personalized learning team. Because we focus on project based learning as opposed to computer based testing we ensure deeper, more authentic learning. 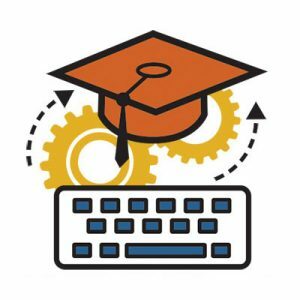 Your learner will be held to a higher accountability measure than many online programs and be required to go beyond the typical computer based testing model. Our Support: iLEAD Online learners have access to real time tutors, access to meet with course facilitators as needed, and are assigned a one-one academic coach. Our academic coaches provide personal attention to support and advocate for you and to help you customize your learning plan.All iLEAD learners complete an onboarding orientation to master LMS navigation, as well as compete netiquette and digital citizenship training. These digital soft skills are essential in a quality online program. Our Learners (Students) : Technology has revolutionized flexibility and options in education. Flexibility of school schedules is essential to meet the needs of a digital rather than an agricultural economy. iLEAD promotes the philosophy of learners as leaders, servers, problem-solvers, creators, collaborators and deep thinkers. iLEAD Online courses encourage all of those qualities and provides the flexibility of online learning. Accreditation: (WASC): The Accrediting Commission for Schools, Western Association of Schools and Colleges (ACS WASC) is a world-renowned accrediting association. WASC is a voluntary dual-purpose process for schools to demonstrate that they provide high-quality learning and model continual self-improvement. 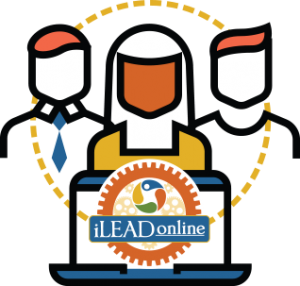 iLEAD Online is a personalized learning program option currently available for 4-12 grade learners. We are building our K-3 program soon! Full time : Now enrolling! iLEAD Online Charter School is a non-profit, tuition free public charter school. Now enrolling grades 4-12 for Los Angeles, Orange, Ventura, San Bernardino and Kern county residents. Contact us for more information. Part time: Now enrolling! Are you already enrolled in another school or program full time? Are you looking for part time online courses? Choosing iLEAD Online courses will allow learners to enroll in our full time iLEAD Online Charter School or to enroll part time and access courses not available at their home school, offer flexibility of schedule for learners who would like a modified schedule, or allow learners to take extra courses in addition to their school schedule. Get yourself in gear with iLEAD Online right away! Wondering which enrollment option is right for you?